Hi I haven't posted for a while, but I have been busy, doing secret gifts that I can't post about just yet. The swap theme was Summer, I immediately thought of butterflies. 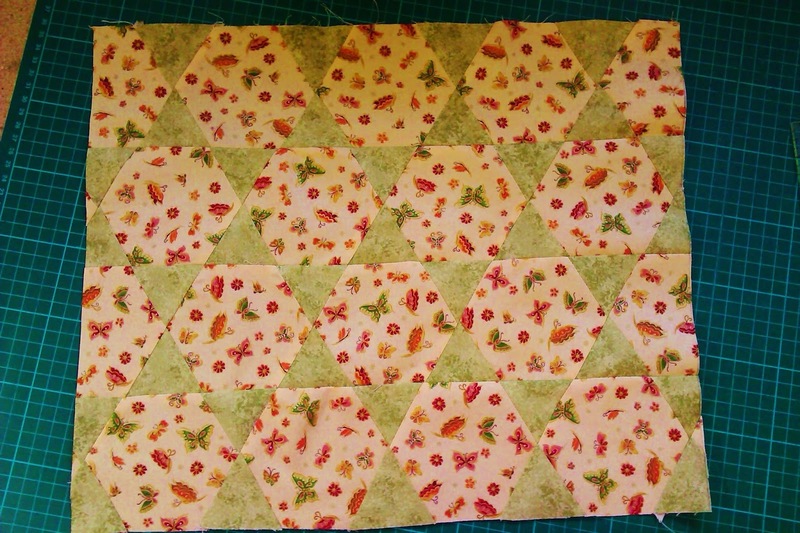 The hexagon fabric has butterflies scattered over it with gold highlights. This is my bag so far, I'm hoping to get it finished this week. It is the first time I have tried the Star Of Bethlehem pattern and I really enjoyed making it. 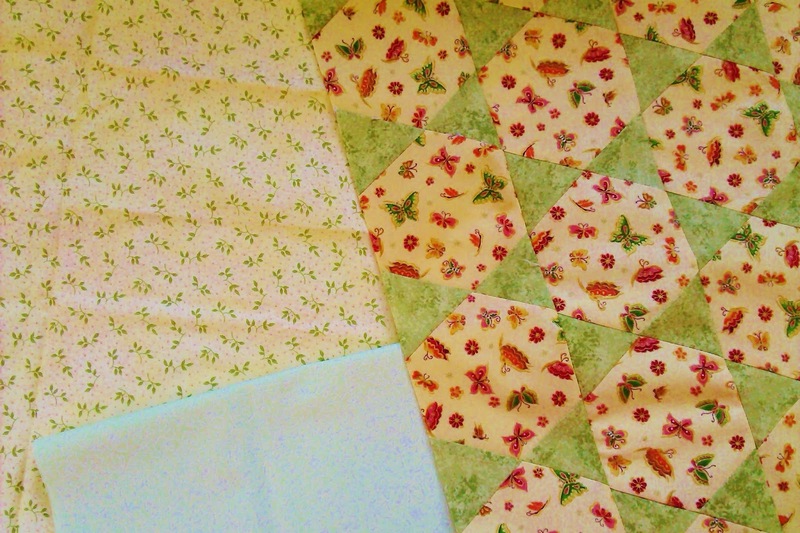 These are the other fabrics I have chosen to use with them. I hope she likes them. Hi Mel, it was so lovely to meet you today. I do hope to see you at Yarndale. I'm just off the write a post about our meeting. I'll look forward to the tote Ta Dah!